SkinFood Freshmade Pineapple Sleeping mask - Cherry Colors - Cosmetics Heaven! Today I wanted to talk about a sleeping mask made by SkinFood. SkinFood was, in fact, the very first Korean brand that I got to try. I had their Mushroom BB cream which I thought was fantastic. 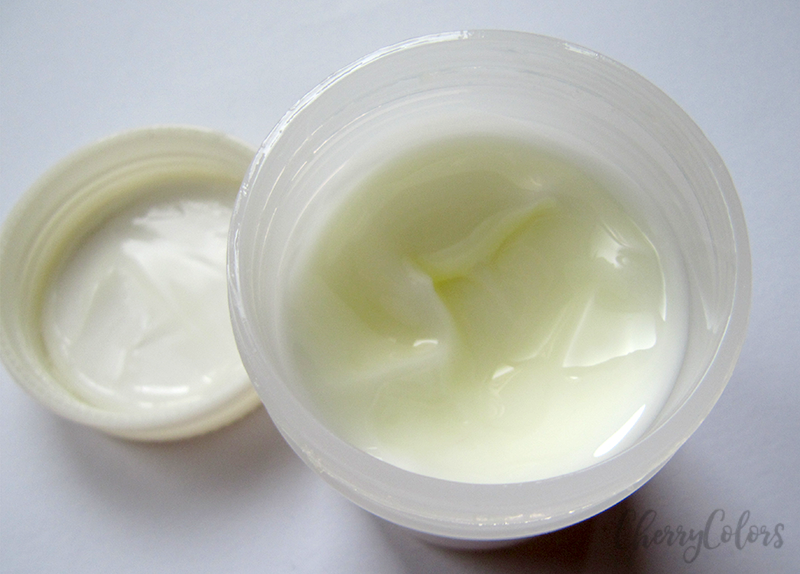 I didn't review that one but I did review the SkinFood Aloe Vera BB cream. But let us continue with this Sleeping mask review. A mild peeling mask with a rich peeling cream like pineapple yogurt that hydrates skin and helps gently exfoliate. This mask is, in fact, one of the two masks from the Freshmade line that can be used as a sleeping mask. The other is Coconut mask. 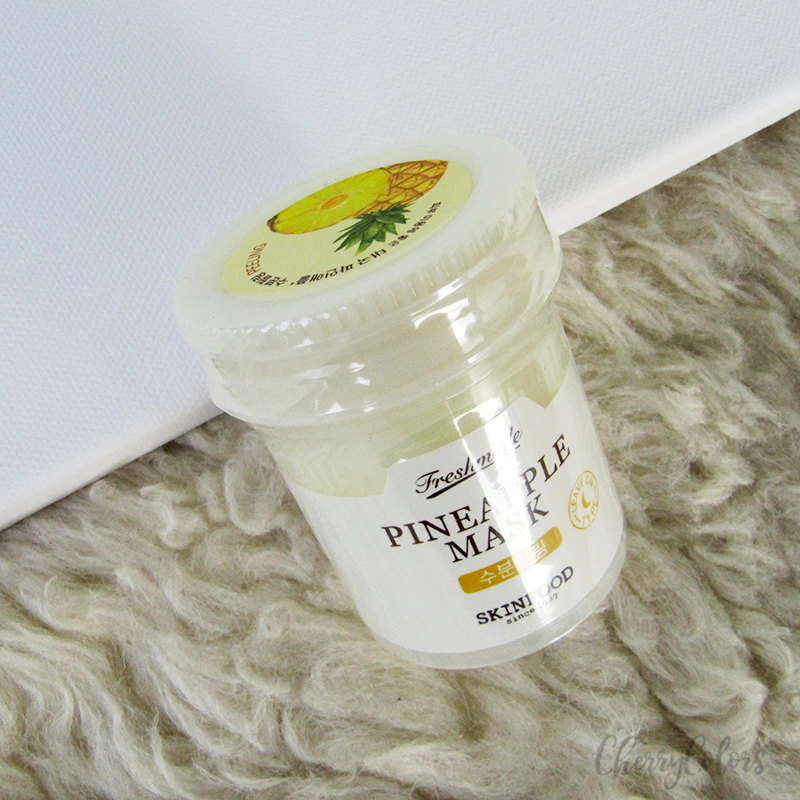 The Pineapple mask comes in a small jar and contains 90ml of product. Once opened you see a safety seal over the opening so you know it was tempered with. The scent is amazing. Fresh and very pineapple like. Also a bit sweet, but not too much. After using it for quite a bit, I still didn't get bored of it. Fantastic! The mask has a thin creamy gel texture. Very easy to apply all over your face. I have it for several months and at first, I used it daily. My skin went from dull, dehydrated (also combination) to amazing and then to oily really fast. In a matter of two weeks. But the first week my skin was amazing when I woke up. It looked plump, firm and fresh. Seriously, my skin never looked this good before! I now know that I overused it at the beginning. I used it every single night and even if that worked for my skin for the first week, that's when I should've switched to about two times per week. I still love the scent and how great my skin looks in the morning whenever I use this product. Well, if you apply it and then go right to sleep, it may rub off on your pillow. That's why I like to wait about 30 minutes after applying a thin layer before bed, so it has some time to sink in. I also use a very thin layer (about 1 chickpea scoop) for my whole face. In the morning I wash it off with a bit of warm water. + Doesn't break me out! - Depending on your skin type, you should start by using it one or two nights a week. It's easy to overuse and makes your skin too shiny. I am in love with this mask. But only as a sleeping mask, not a daily mask, because for me it only works as a sleep in kind of mask. I use it as the last step in my routine because it is meant to lock everything in your skin as it has some occlusive ingredients. I usually use my hyaluronic serum and a cream under the mask. After application, it doesn't leave a sticky film on my skin, just a slightly sleek feeling. This is actually a favorite sleeping mask of mine and I'm surprised how well it works for my combination skin. I recommend it. You can also read a really good review about it from Unboxing beauty. Do you use sleeping masks? Let me know in the comments below!